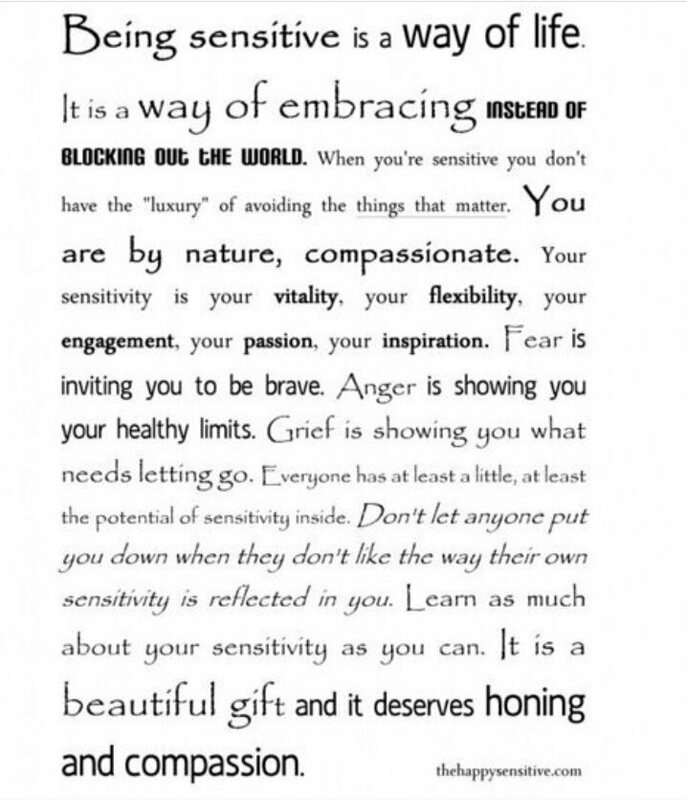 Embrace your sensitivity and do NOT be afraid of what it does to your emotions. It teaches you to be brave, to show your healthy limits, and what’s in your life that needs to be let go. Mind you, being sensitive is NOT a sign of weakness. You are strong, courageous and nothing anyone can do can bring you down because of it. Love this. I’m soo sensitive lol.